CARFAX One-Owner. Clean CARFAX. Certified. 150-MULTI POINT INSPECTION BY A FACTORY TRAINED TECHNICIAN, VW CERTIFIED, *FREE OIL CHANGES FOR LIFE INCLUDED*, PRICE REDUCED..WON'T LAST.., CALL FOR A VIP APPOINTMENT TODAY! !, WOW, LOW MILES.., HARD TO FIND VEHICLE, WON'T LAST.., Titan Black w/V-Tex Leatherette Seat Trim, 17" Goal Silver Alloy Wheels. Platinum Gray Metallic 2013 Volkswagen Jetta TDI 2.0 FWD 6-Speed Automatic DSG 2.0L TDI Diesel Turbocharged 30/42 City/Highway MPG Volkswagen Certified Pre-Owned TDI Models Details: * Vehicle History * 2 Years of 24-Hr Roadside Asst. Transferability See Dealer for Details * Warranty Deductible: $50 * Roadside Assistance * Limited Warranty: 24 Month/Unlimited Mile beginning on the new certified purchase date or expiration of new car warranty expires (whichever occurs later) * 100+ Point Inspection Save THOUSANDS in maintenance costs with our exclusive and free LIFETIME oil change special!! CALL our Internet Sales Manager at the number above to schedule a VIP appointment. Lokey is Family Owned since 1952. 500+ Used Cars in stock - Largest Used Car dealer Brandon to St. Petersburg. Clean CARFAX. Odometer is 9812 miles below market average! Gray 2013 Volkswagen Jetta SportWagen 2.0L TDI FWD 6-Speed Automatic DSG 2.0L TDI Diesel Turbocharged 29/39 City/Highway MPG Save THOUSANDS in maintenance costs with our exclusive and free LIFETIME oil change special!! CALL our Internet Sales Manager at the number above to schedule a VIP appointment. Lokey is Family Owned since 1952. 500+ Used Cars in stock - Largest Used Car dealer Brandon to St. Petersburg. CARFAX One-Owner. *FREE OIL CHANGES FOR LIFE INCLUDED*. Black Uni 2015 Volkswagen Passat 1.8T Limited Edition FWD 6-Speed Automatic with Tiptronic 1.8L 4-Cylinder DOHC 24/36 City/Highway MPG Save THOUSANDS in maintenance costs with our exclusive and free LIFETIME oil change special!! CALL our Internet Sales Manager at the number above to schedule a VIP appointment. Lokey is Family Owned since 1952. 500+ Used Cars in stock - Largest Used Car dealer Brandon to St. Petersburg. Certified. 150-MULTI POINT INSPECTION BY A FACTORY TRAINED TECHNICIAN, VW CERTIFIED, *FREE OIL CHANGES FOR LIFE INCLUDED*, PRICE REDUCED..WON'T LAST.., CALL FOR A VIP APPOINTMENT TODAY! !, MOONROOF, WOW, LOW MILES.., HARD TO FIND VEHICLE, WON'T LAST.., Titan Black w/V-Tex Leatherette Seat Trim, 17" Goal Silver Alloy Wheels. Platinum Gray Metallic 2013 Volkswagen Jetta TDI 2.0 FWD 6-Speed Automatic DSG 2.0L TDI Diesel Turbocharged 30/42 City/Highway MPG Volkswagen Certified Pre-Owned TDI Models Details: * 2 Years of 24-Hr Roadside Asst. Transferability See Dealer for Details * Vehicle History * Limited Warranty: 24 Month/Unlimited Mile beginning on the new certified purchase date or expiration of new car warranty expires (whichever occurs later) * Roadside Assistance * Warranty Deductible: $50 * 100+ Point Inspection Save THOUSANDS in maintenance costs with our exclusive and free LIFETIME oil change special!! CALL our Internet Sales Manager at the number above to schedule a VIP appointment. 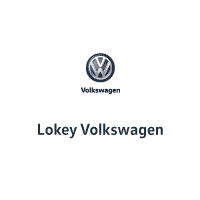 Lokey is Family Owned since 1952. 500+ Used Cars in stock - Largest Used Car dealer Brandon to St. Petersburg. CARFAX One-Owner. Clean CARFAX. Certified. Odometer is 25582 miles below market average! 150-MULTI POINT INSPECTION BY A FACTORY TRAINED TECHNICIAN, VW CERTIFIED, *FREE OIL CHANGES FOR LIFE INCLUDED*, PRICE REDUCED..WON'T LAST.., CALL FOR A VIP APPOINTMENT TODAY! !, NAVIGATION, MOONROOF, HARD TO FIND VEHICLE, WON'T LAST.., NEW TIRES!, NEW BRAKES!, Beige w/V-Tex Leatherette Seating Surfaces, 17" TDI Alloy Wheels, 9 Speakers, Fender Premium Sound System w/Subwoofer, Navigation System, Power Tilt & Sliding Panoramic Sunroof, Radio: Premium VIII Touch-Screen. Candy White 2013 Volkswagen Beetle 2.0 TDI Sunroof/Sound/ Nav FWD 6-Speed Automatic DSG 2.0L TDI Turbodiesel 140 hp 29/39 City/Highway MPG Volkswagen Certified Pre-Owned TDI Models Details: * Roadside Assistance * Vehicle History * Warranty Deductible: $50 * Limited Warranty: 24 Month/Unlimited Mile beginning on the new certified purchase date or expiration of new car warranty expires (whichever occurs later) * 2 Years of 24-Hr Roadside Asst. Transferability See Dealer for Details * 100+ Point Inspection Save THOUSANDS in maintenance costs with our exclusive and free LIFETIME oil change special!! CALL our Internet Sales Manager at the number above to schedule a VIP appointment. Lokey is Family Owned since 1952. 500+ Used Cars in stock - Largest Used Car dealer Brandon to St. Petersburg.